Editor’s Note: Because of the nature of Adderall usage and sale, the last names of some of these students have been withheld to protect their identities. The mixture of Adderall and other drugs (including alcohol) can be very dangerous. If you or someone you know is suffering from overuse or improper use of Adderall, please contact the counseling center at 410-704-2512 or counseling@towson.edu. It’s Sunday night and junior Brandon has just gotten off of work. He still has a pile of homework to get through and is already exhausted from working all weekend. He turns to the half pill he has stored in his desk and about 30 minutes later he is flying through his workload, focused on the task at hand. Adderall is a pharmaceutical drug used to treat individuals with attention deficit hyperactivity disorder. However, it has become increasing popular among college students, including those like Brandon who are not affected by ADHD. For him, it is simply a tool he uses to improve his performance in school. “It’s a time saver, and college students are always the busiest people because they have their regular lives along with school. If you are busy and you only have this one night to get it done…you take the Adderall and get it done in one night,” Brandon said. Brandon uses Adderall roughly seven to eight times per semester, almost always for schoolwork. He said that the drug makes him feel as though he never has to sleep or take a break and allows him to complete his work faster. He is not the only student that feels this way. In a study of 1,253 college students conducted by professors from the Center on Young Adult Health and Development at the University of Maryland School of Public Health, 31 percent of the students studied have used Adderall at least once, and half of them were offered it at least once before their senior year. “Adderall is prescribed, so its not like people have to grow it or cook it or whatever. They can just go to their doctor and get it,” Brandon said. According to the previously mentioned study, 74 percent of all users who don’t have a prescription get their Adderall from a friend who does have a prescription. Brandon said that because of this, he rarely has trouble finding a dealer. He mostly buys from his friends and only has difficultly finding it during finals week when the drug is in high demand. 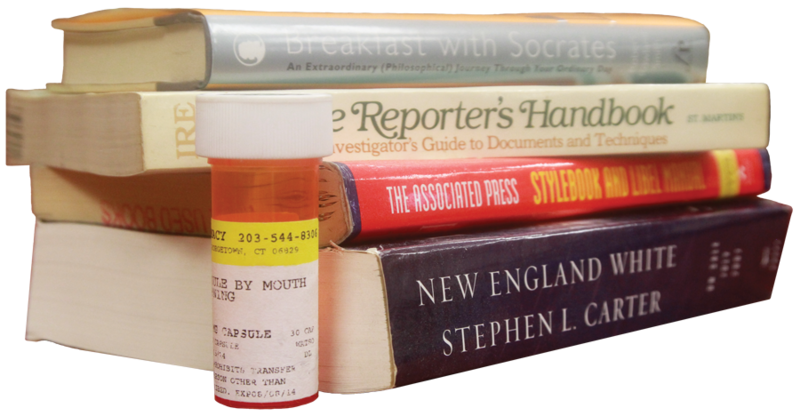 It is not difficult to find a student with a prescription. In 2013, an estimated 6.4 million children ages 4-17 had received an ADHD diagnosis at some point in their lives, a 16 percent increase since 2007 and a 41 percent increase in the past 10 years, according to the Centers for Disease Control. Erin, a junior, has been prescribed Adderall since her freshman year of college when she felt like the increased workload made it more difficult for her to focus on and manage her work. Although she is prescribed 60 20mg tablets each month, she feels that she only needs to take one per day during the semester, leaving her with an excess of about 30 pills each month which she sets aside to sell. “I started a few months after I started being prescribed to it because I wasn’t using all 60 tablets a month … If I have extra then I’m more than happy to give it to people who need it,” Erin said. She sells her pills at a rate of $5 for two, and allows her customers and friends to purchase as many as they need at a time. Erin said that she always sells them within two weeks of getting her prescription because the demand is so high, and although she enjoys the extra income, she does not think that the profit is worth getting caught. In Maryland, Adderall is considered a Schedule IV drug. Any manufacturing, distributing or possessing with the intent to manufacture, distribute or dispense it can result in up to five years of imprisonment, $15,000 in fines, or both. Both Brandon and Erin say that they don’t worry about the possibility of getting caught because they only sell to or buy from their friends and coworkers, not strangers. Despite selling to only a small group, Erin said that she never has to let people know she is selling her Adderall. According to her estimation, roughly 75 percent of the people who purchase Adderall from her use it for schoolwork, and occasionally they purchase it to get through a long day at work. However, Adderall has recently developed a new use as a party drug, and according to the National Survey on Drug Use and Health, 95.4 percent of college students in their study who use Adderall non-medically were also alcohol drinkers. “I sometimes take Adderall before drinking, especially if I have worked all day, because it keeps me awake and more excited throughout the night instead of just having a few drinks and getting sleepy,” Erin said. Although both Erin and Brandon reported no negative effects from Adderall other than difficulty sleeping, anxiety, or feeling as though their heart was beating faster than usual, statistics show that misuse can be dangerous. According to a study by The Drug Abuse Warning Network, in 2010, 31,244 people were transported to the emergency room for abuse of ADHD drugs. Brandon said that he doesn’t consider Adderall to be dangerous, as long as users know what the drug will do to them, and plan accordingly by remembering to eat food and stay hydrated. Oftentimes he said users would forget to eat because the drug doesn’t make you feel hungry. Despite this, he justifies his use of the drug because he uses it almost solely for schoolwork and does not plan to continue using it after he graduates. “Adderall is good, it helps you with school, it’s not bad. Just because it’s a prescription drug if you are taking if for school I don’t see anything wrong with it,” he said. Towson 2012 alum Pamela Daugherty-Smith, who currently attends University of Baltimore School of Law, said that she abstains from using Adderall, especially for her schoolwork. “I also don’t use it in law school specifically because of the grading curve. Essentially, how well I do depends on how well everyone else does. 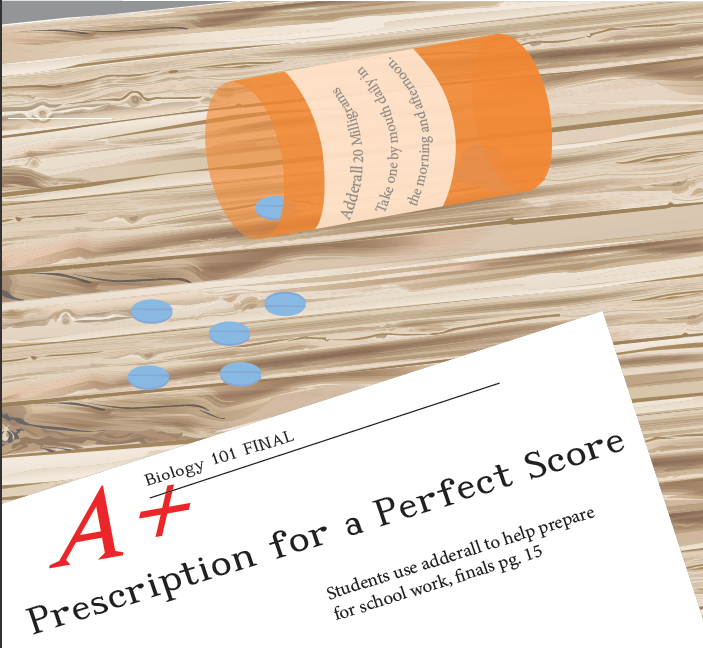 I think in this context, it’s cheating because if I score higher on the exam because of Adderall, it adversely affects someone’s grade,” she said. Although she did not use the drug in her undergraduate studies, she does think that the availability of the drug has increased significantly in the past years. “I think it was easier for me to find in undergrad, if I had wanted some…Although I’m sure, and especially from working in the restaurant industry, I could find some if I really wanted it,” Daugherty-Smith said. “It is prescribed to more undergraduate students so the market of available pills just continues to grow for students that are not prescribed it,” Daugherty-Smith said. And although Erin said that she does not currently know many other people who sell Adderall, she did know several dealers when she lived in the on-campus dorms her freshman year. Although acquiring a prescription for Adderall is a complicated process, Erin said that college has allowed the popularity of the drug to grow, and that the effects of the drug are exactly what college students are looking for. – Jonathan Munshaw contributed to this article.